RAJBIRAJ, June 9: According to District Agriculture Development Office (DADO), Saptari, the volume of mango production will finally increase this year after a continuing slowdown for five years. Officials speculate that should the weather remain consistent, the production will double this year as compared to the last fiscal year. Saptari, which is considered to be the 'mango capital of Nepal', had produced 61,700 tons of mango in the Fiscal Year 2011/12. But after that, the district has hardly produced a third of the quantity. According to DADO chief Bhagirath Yadav, out of 7,000 hectares of land where mango is cultivated in the district, the fruit is currently being produced in only 5,000 hectares at the rate of 8 tons per hectare. This means that the total yield of the mango producing fields will hover around 40,000 tons, which would be double the production of the last fiscal year of 20,000 tons. Heavy hailstones had affected at least 700 hectares of orchards in mid-May. If it had not affected the mango farms, the speculated production could be higher by additional 5,500 tons, according to Yadav. “There still is a possibility that change in weather and storms could affect mango production. Should this recur, it is hard to speculate the effect on farmers,” Yadav added. Meanwhile, farmers have been excited by the increased yield of mangoes this year after seeing a constant dip in production in the past years. According to knowledgeable sources, due to prevalence of new diseases on mango, lack of proper knowledge and technology, harsh weather conditions, and negligence from the part of the local agricultural authorities, the production of mango in Saptari has been on a declining trend. “If we do not receive adequate attention and support from concerned authorities, farmers may gradually become frustrated and deviate from mango cultivation,” Yadav said. Saptari supplies mangoes not only to Kathmandu, but also to many other cities across the country such as Biratnagar, Hetauda and Birgunj. It goes as far as the Indian cities of Kolkata and Siligudi. 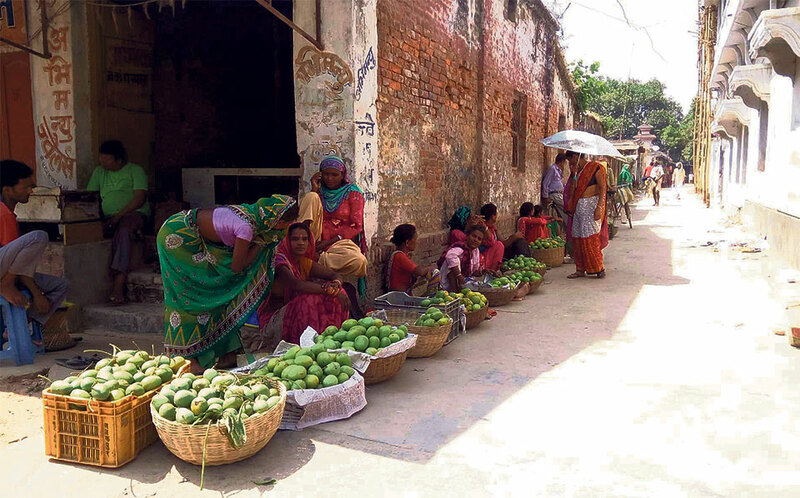 Between 40 and 50 percent of mangoes sold in the capital come from Saptari.